The Mayernick Group has effectively represented our clients in a myriad of areas including appropriations, public safety, education, insurance, environment and utilities, health care, economic development, child welfare, juvenile justice, corrections, as well as business development and expansion. At the Mayernick Group, we pride ourselves on continuously monitoring trends and successfully fostering the development of business relationships and affiliations between government and the private sector. By collaborating with public/private-based organizations, business leaders and governmental entities, we develop new market opportunities for our clients. The Mayernick Group has successfully lobbied the Florida Legislature on behalf of the Florida Alcohol and Drug Abuse Association (FADAA) repeatedly; and, most recently, our team has secured funds for a pilot project developed by FADAA. Funded by $5 million in recurring revenue, Family Intensive Treatment Teams (FITT) initiative incorporated individualized treatment plans for families with children in the child welfare system, and immediate access to care in the DCF Central, Northeast, Southern, and Suncoast Regions. FITT will target 500 high-risk families with rapid identification and family assessments and immediate access to evidence-based practices that are matched to the needs of the family, followed by recovery support and follow-up for one year after closure of the child welfare case. In addition, the Mayernick Group successfully lobbied the Florida Legislature to increase funding for existing Community Action Teams (CATs) across the state, which targets at-risk youth aged 11-21 with mental health or co-occurring substance use disorders. The existing 10 CATs were shifted to recurring general revenue, and $75,000 per CAT was added to support additional medical care. PACE Center for Girls retained the Mayernick Group to aid with their expansion into more areas of the state. In keeping with the Department of Juvenile Justice’s focus on prevention in order to keep youth from entering or delving deeper into the system, the Mayernick Group secured $2 million in new money during the 2014 Legislative Session for the program. This money allowed PACE to open a new facility in Clay County, as well as increase services offered at the facilities opened during FY 2013-14. Lexington National Insurance Corporation hired the Mayernick Group amidst the 2014 Legislative Session to shelve a bill that would have been unfavorable toward their company, had it passed. The Mayernick Group worked relentlessly against a strong lobbying effort by the other side in order to stop the bill from moving forward during its first committee of reference. The Mayernick Group was hired by American Traffic Solutions to help pass legislation that continued authorizing the use of red light cameras to enforce violations at intersections. Not only was the Mayernick Group successful in working with other lobbyists to accomplish that request during the 2013 Legislative Session, but the Mayernick Group also helped stop a bill during the 2014 Legislative Session that would have derailed a portion of the 2013 bill. 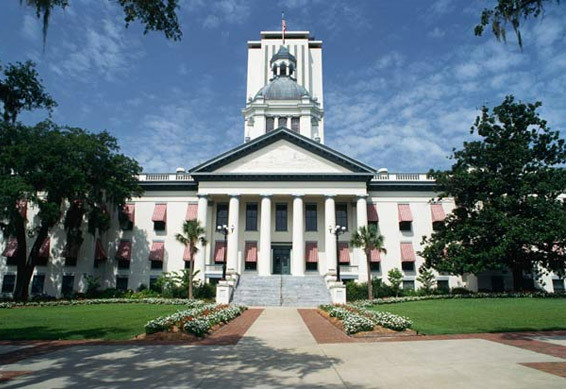 The South Florida Automobile Dealers Association (SFADA) retained the Mayernick Group to lobby members of the Florida Legislature to pass House Bill 783, relating to motor vehicle sales. The bill prohibited an automotive manufacturer’s finance company from denying financing to a consumer or charging a fee to a dealer solely because the contract contained an automotive-related product from a competitor that was of similar nature, scope and quality. This protected the auto dealer by allowing the free and open marketplace to continue to be available for aftermarket sales products. Had the Mayernick Group not accomplished the passage of this bill on the dealer’s behalf, it would have given the manufacturer’s captive automotive financial institution a competitive advantage over third parties in offering their aftermarket automotive product to the consumer, in some cases.